Goals from Peter Grimmer, Jose Otero and Sacha Funes ensured Britannia overcame Gibraltar United 3-1 in this afternoon’s Premier Division game. 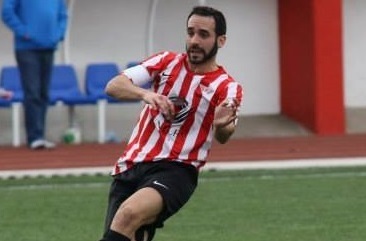 Lynx showed they had shaken off last week’s poor performance as they cruised to a 3-0 victory over Gibraltar United. The first half started with Lynx dominating as expected with Gibraltar United defending with five at the back, making it hard for Lynx to create any chances. Despite their best efforts Lynx broke the deadlock fifteen minutes in, Unai Gutierez’s cross ended up flying over Kyle Goldwin and into the back of the net. Lynx nearly made it 2-0 ten minutes later but Agustin Doxagarat’s shot was cleared off the line by Kenneth Chipolina who had a very solid game at the back, his defensive partnership with Brad Power saved Gibraltar United multiple times in the game. Kyle Goldwin was called into action a few moments later keeping out a shot from Agustin Doxagarat. Gibraltar United had their first and only chance of the game minutes later, Robert Montovio skipped past Ethan Jolley and shot but his effort was saved by Fraiz. The second half started with Lynx in possession, Agustin Doxagarat’s cross found Carlos Sanchez in the middle, his shot was excellently saved by Goldwin. Ten minutes later Gibraltar United were lucky to still have eleven players on the pitch as Kenneth Chipolina brought down Robert Guiling, with Chipolina being the last man everyone expected the defender to be sent off by referee Adbellah El Yettefti awarded a yellow card, a decision which didn’t go down very well with the Lynx manager Albert Parody. Just before the hour mark Lynx made it 2-0, Alberto Gonzalez stepped up and curled his free-kick over the wall and hitting the crossbar and bouncing just over the line. Stunning finish nevertheless. Lynx continued to pressure and in added time they made it 3-0, Agustin Doxagarat skipped past Carl Thomas and curled his effort into the bottom corner. The game restarted and the referee blew for full-time. This win sees Lynx move into fifth while Gibraltar United remain eighth. 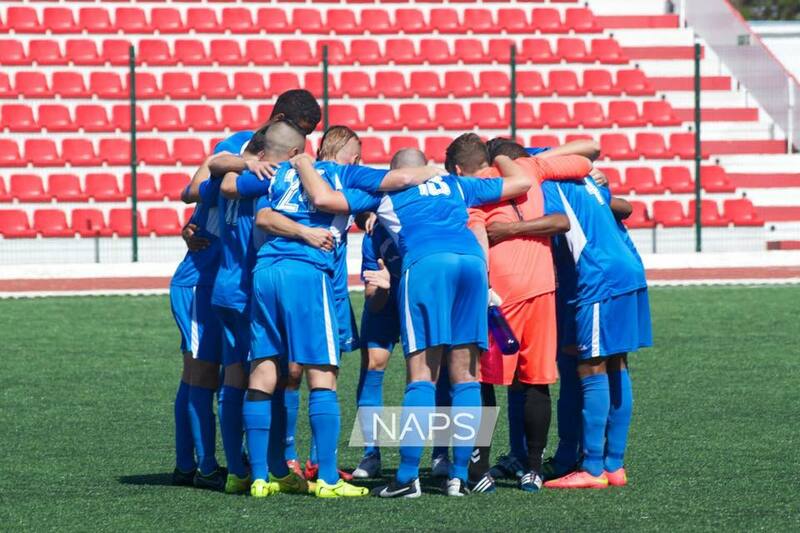 Lynx play Glacis United next while Gib Utd face St Joseph’s. 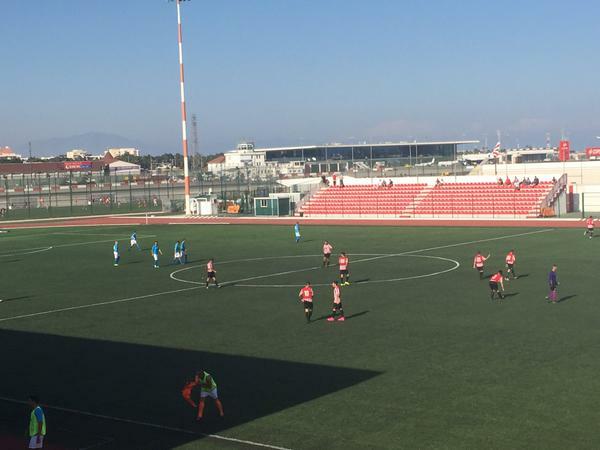 Premier Division champions Lincoln Red Imps continued their unbeaten streak in the league, beating Gibraltar United 7-0, goals from Lee Casciaro, Antonio Livramento, Kyle Casciaro & a brace each for George Cabrera & Guido Abayain. The first half started with Lincoln Red Imps dominating possession as expected, with Gibraltar United defending deep hoping to catch Lincoln on a counter-attack. Lincoln broke the deadlock 15 minutes in, Joseph Chipolina did well to get to the byline, his cross was met by Lee Casciaro who slotted his shot past Kyle Goldwin. Ten minutes later Lincoln extended their lead, Joseph Chipolina’s cross was met by the head of Guido Abayian whose effort hit the crossbar and bounced over the line and out. After a few seconds of debating, the linesman gave the goal. Gibraltar United continued to defend valiantly, making it very hard for Lincoln to break them down. Just before half-time Lincoln made it 3-0, Portuguese midfielder Antonio Livramento’s cross was once again met by the head of Guido Abayian whose effort flew past Kyle Goldwin. The second half started with Lincoln dominating and Gibraltar United defending in numbers, making it hard for Lincoln to break them down. Lincoln made an early substitution with Daniel Cifuentes coming off and centre-back Bernardo Lopes coming on. On the hour mark Lincoln made it 4-0, Antonio Livramento, replacing the injured Nico Chietino, skipped past two Gibraltar United players and smashed his shot past Kyle Goldwin. Minutes later Lincoln made it 5-0, Lee Casciaro’s cross was met by George Cabrera who slotted his shot in. Lincoln continued to dominate the game with Gib Utd not posing a threat going forward and with less than 10 minutes remaining Lincoln made it 6-0, a cross from George Cabrera found Kyle Casciaro who slotted his shot away with a great finish. Shortly after Lincoln made it 7-0, a cross from Joseph Chipolina found George Cabrera who slotted his shot away. A hat-trick of assists for Joseph, while George gets his second of the game. The game restarted and the referee blew for full-time. Robert Montovio’s 85th minute equaliser saw Gibraltar United draw 1-1 against Britannia, in a game that saw three red cards shown at the Victoria Stadium. Jamie Pishvaie’s penalty looked to have secured Britannia all three points, before Montovio’s equaliser on his debut, the fourth time he’s scored on his first appearance for a club. From the start, both teams set out to play an attacking brand of football, but it was Britannia who had the first real chance, with Manuel Camacho’s effort saved by Kyle Goldwin in the Gib United goal. 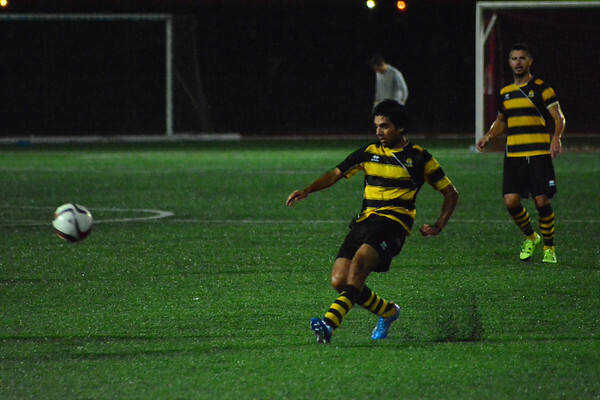 Just before half time, Britannia had a goal disallowed for offside, with Comino’s effort disallowed by the linesman. Britannia manager Alan Arruda may have felt his side should have been winning going into the break, but Gib United were putting up a good battle as expected. The second half started in similar fashion to the first, with Britannia having more of the chances, although as time went on Gib United grew into the game and started forcing the Britannia defence to work harder to keep them out. 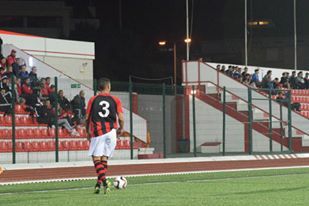 Just as Manuel Nunez Sanchez must have been thinking his side were in the ascendancy, the game turned on its head, as Pishvaie was fouled in the box by Gib United keeper Goldwin, who was shown a red card by referee Warwick Herbert. Pishvaie stepped up and put it past substitute keeper Liam Neale, who may not have expected to be making his debut so soon for Gib United. Britannia went in search for a second goal that would have killed off the game, but with five minutes left, Montovio took advantage of a mistake in the Britannia defence, rounded keeper Louie Barnfather to put his side back on level terms. An otherwise entertaining game was slightly soured by events just before the end, which saw both Pishvaie and Mark Casciaro sent off, but nine-man Gib United dealt with the six minutes added time to claim a hard-fought point. This afternoon’s Premier Division kick off sees newly-promoted Gibraltar United take on FC Britannia. Both teams will no doubt be keen to get their season off to the best start possible, and will see this game as a winnable encounter. After winning the Second Division last season, Gibraltar United made the sensible decision to retain the core of their squad, while also signing local talent from a variety of Premier sides, including former Glacis trio Liam Neale, Sean Mascharenas and Steffan Cardona. Britannia also strengthened their squad ahead of the upcoming season, bringing in the likes of Lee Graham, Shea Breakspear, Manuel Camacho and Sacha Funes, as well as renewing the contracts of a number of their players, as they aim to improve on last season’s 7th place finish. We also caught up with Britannia manager Alan Arruda, with the 34-year-old Brazilian making the move up to management after playing for the club last season. 1- Our main objective was getting this well known club back to the Premier Division, where it belongs in our first year back together after disappearing a few years ago, at whatever cost. The objective was complete, so the other issues are minor and not important. 2) How has pre-season gone? 2- Pre-season kicked off three to four days after the league had finished. We have been working extremely hard since as we need to have a higher level of fitness to compete. The introduction of the new professional manager has helped us improve a lot. 3) The team is starting to form a solid foundation. 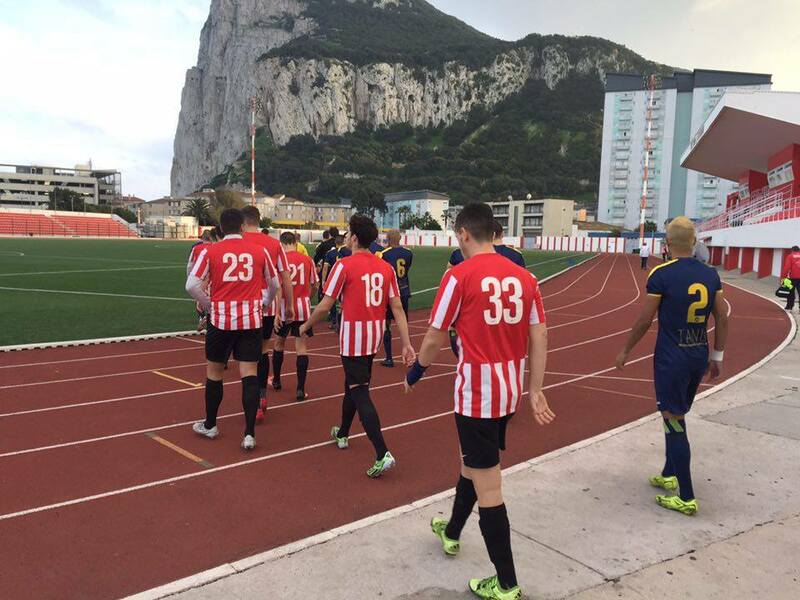 Many Gibraltarian players have joined the cause willingly wanting to help this great club achieve its goals. The importance of maintaining ‘only local players’ is a major boost for all those who have been sidelined ever since getting into UEFA by all sorts of foreigners. We have signed great players with keen ambitions to perform, which is what we are always after. Youngsters the same as experienced players who have boosted the morale which was already high, with what we had from last year after winning the second division. We have great players in the squad, I can’t really mention anyone in particular as there are so many quality and technically gifted locals, who can indeed perform to the highest level. All i can say is that the GFA manager (Jeff Wood) should be looking thoroughly at this squad for locals who will be playing the full 90 minutes and I can guarantee they will give their all for Gibraltar. Call ups will definitely need to be announced as their quality is unmissable. Not many players have left us this season; some have decided not to play, while others have signed for second division teams as they cannot commit to premier standards or training schedules. 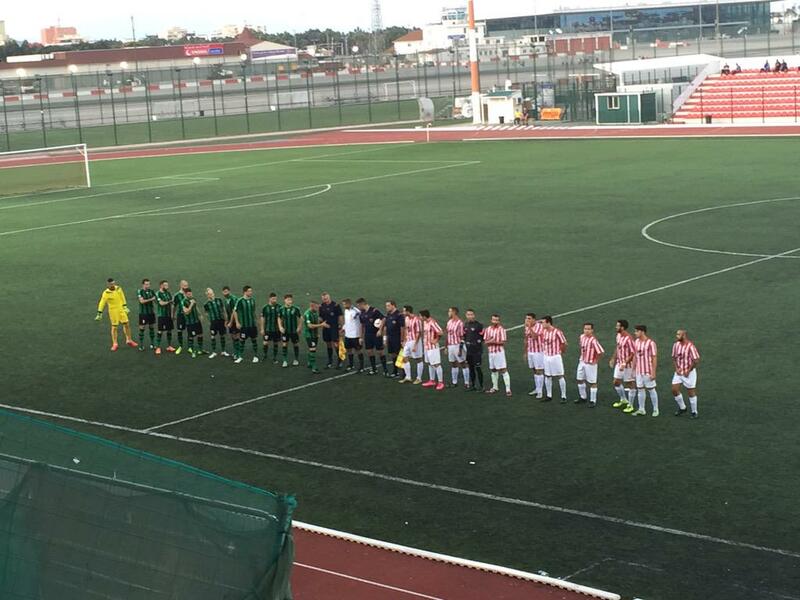 4) What goals do Gibraltar United have for this season or what they hope to achieve? 4) Gib United have set standards high; if we wouldn’t, what would be the point? We always need to set high objectives or achievements in order to perform to the maximum. This will get the best out of our players, especially as they want to give all they have for this club. The main objective is challenging for the Europa League spots, we cannot get any higher than that. However, I do believe maintenance in the Premier Division is more than essential this year. We must keep focused and work together as a team, but I can really say we are more than a team. We are a family and will push ourselves in becoming a strong force. Football Gibraltar would like to thank Andrew for taking the time to speak to us, and wish him the best for the new season. 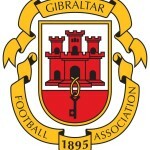 Gibraltar United start their season against FC Britannia on Sunday, and kick off is 4:30pm.